Every so often, a piece of theatre comes along that leaves you astounded. Tackling one of the most pressing issues of our time, The Almighty Sometimes takes a stark look at the crisis surrounding children’s mental health. 18-year-old Anna craves independence. During what her therapist suggests should be “the most exciting time of her life” – where her friends are going to university or beginning to carve out lives away from the family home – Anna is stuck. She has been prescribed a cocktail of pills since the age of 11, when her mother, Renee, became increasingly concerned by her daughter’s erratic and aggressive behaviour and sought a diagnosis. Since then, Anna’s life has been stifling. The opening scene is commanding. Mixing humour and wit with enough tension to slice a knife clean through, we are immediately catapulted into the domestic life of Anna and Renee. In a sweet, intimate exchange, Anna is flirting with Oliver, a boy she knew from her school days, when Renee enters the kitchen and immediately begins to ask questions. It’s clear from the outset that this isn’t simply your typical embarrassing mother/moody-teenager dynamic, but rather something that looms much larger. 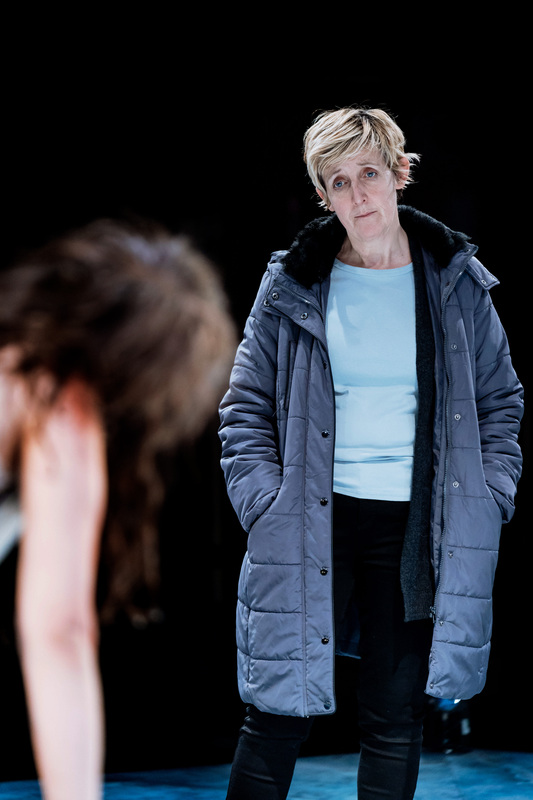 Julie Hesmondhalgh plays Renee wonderfully with skill, poise and understanding. 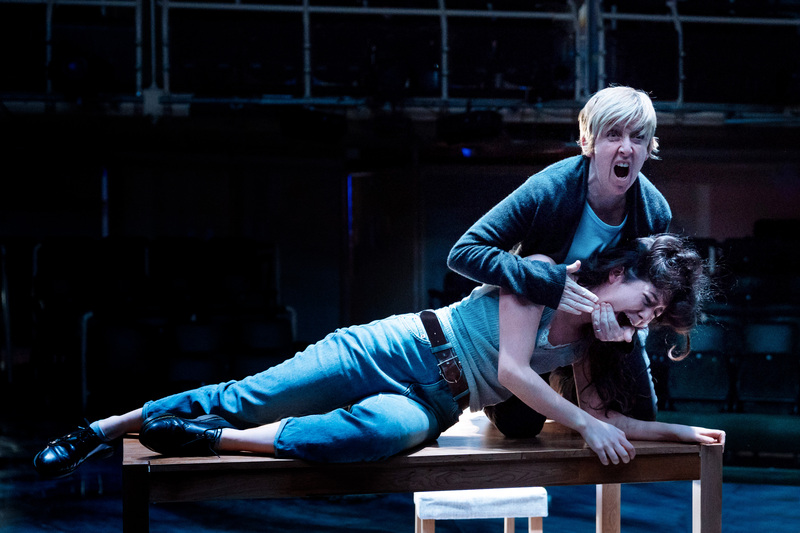 We feel both sympathy and frustration for Anna’s long-suffering, overbearing mother and that balance is by no means an easy feat to sustain during such an emotional piece of theatre. Renee often exists on the periphery, watching Anna, stepping in when she believes she is needed. Similarly, Norah Lopez Holden is magnificent as Anna. Medicated her entire life and, on the cusp of adulthood, Anna begins to question who she might be if she were to cease treatment. Concerned that the heavy medication – and how it might react with her body – is smothering her creativity, she takes matters into her own hands and, against the advice of her psychiatrist, Vivian (Sharon Duncan-Brewster) – she begins a ‘personal experiment’ with disastrous consequences. Kendall Feaver’s An Almighty Sometimes – winner of a Bruntwood judges award in 2015 – is a stunning piece of writing which explores what it’s like to grow up with mental health issues. As a debut, it’s extremely impressive. Feaver manages to walk the tight-rope between mother and daughter without slipping up or taking sides, and portrays the fragile relationship with great observation. 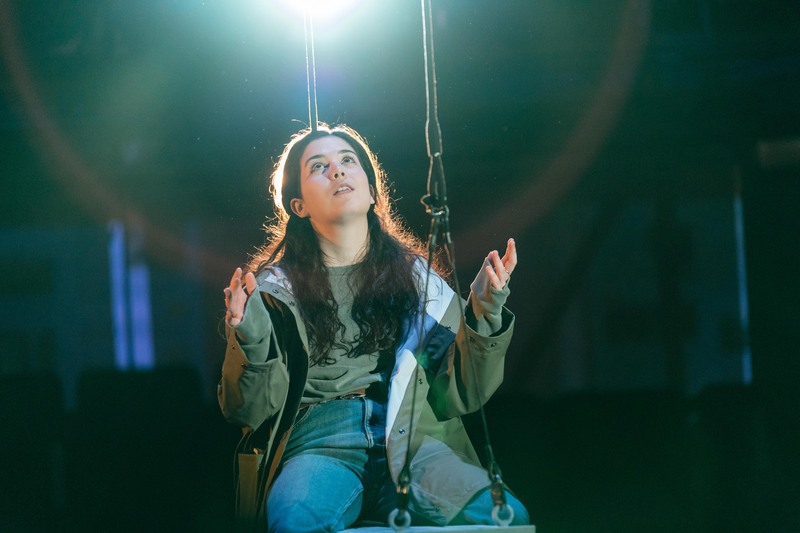 In her director’s note, Kathy Rudd states that in working on the play, the team met with many young people growing up with mental health issues, their families and healthcare professionals. “For many people on medication,” she writes. “The dilemma of “what is me and what is the medication?” seems to be a recurring question.” While she highlights that Anna’s story is not representative of any one person, she hopes that “it will shine a light on families coping with mental illness” and encourage a conversation. She has certainly succeeded in doing so. If this all sounds too heavy, well, it is. There’s no getting away from the serious subject matter but it is also an incredibly human story. As with all tragedy and trauma in life, there are periods of humour and warmth. The end scene is particularly poignant, but these moments typically appear during exchanges between Anna and Oliver (Mike Noble) in the initial stages of their romance. However, Noble is more than the comic relief (although his comic timing is on point) and there’s some suggestion that his own home life is difficult. At times the action becomes hard to follow, particularly when Anna begins to retreat further into her illness, but this adds to the production rather than takes anything away. We cannot understand what Anna is experiencing because it is her own private battle. This is reflected in Rosanna Vize’s set design. While wonderfully simple and domestic – beds, a kitchen table, children’s toys in the psychiatrist’s office – it’s also visually stunning with a beautiful blue-swirl floor and, later, a sort-of cage which imprisons Anna. It’s a truly great metaphor for how trapped Anna feels by her illness – and her life. 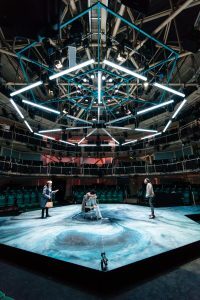 The Almighty Sometimes is a stunning piece of theatre and the cast were thoroughly deserving of the standing ovation they received. In an age where mental health statistics are at a staggering high, the Royal Exchange have made an excellent decision in choosing to stage a production which seeks to open a dialogue about what it’s like to exist within a label, and how our society chooses to look after our young people with mental health problems. 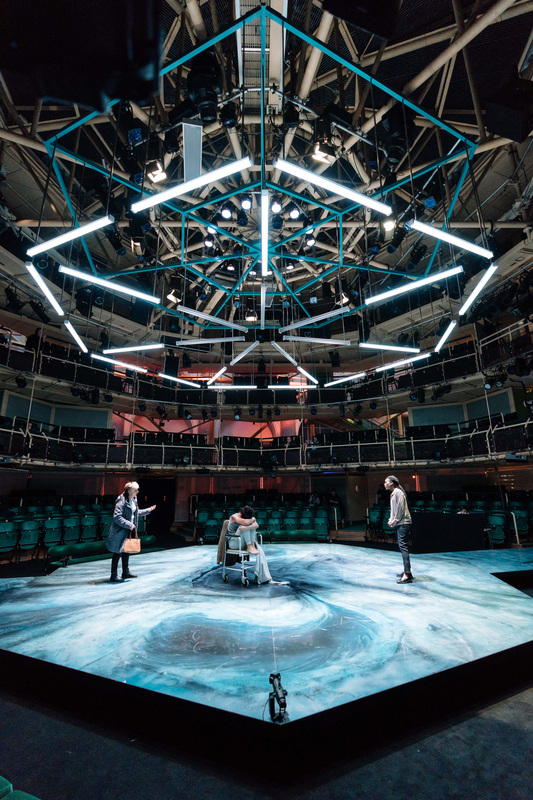 The Almighty Sometimes is on at Manchester’s Royal Exchange Theatre until February 24, 2018. For more information, or to book tickets, click here.